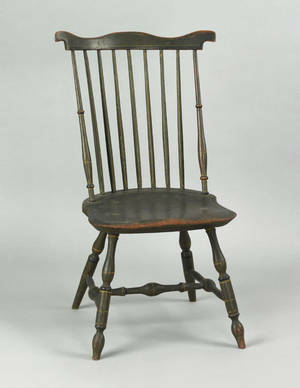 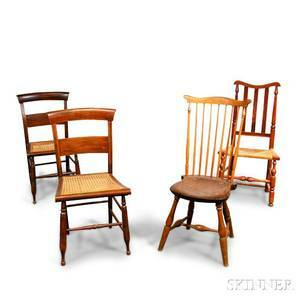 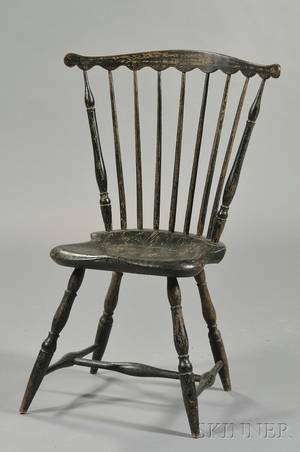 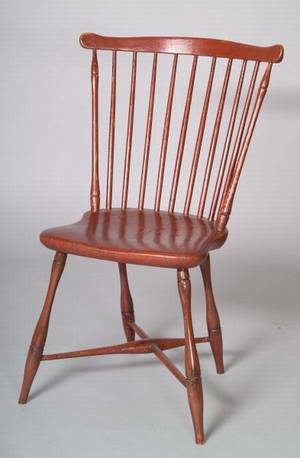 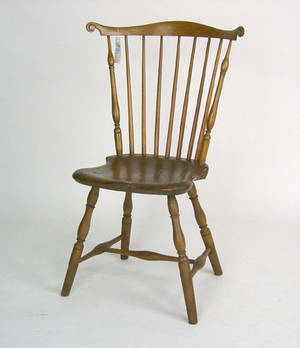 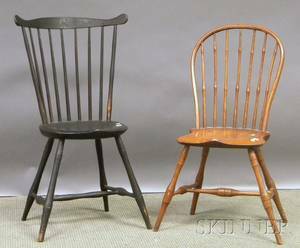 Fan back windsor chair, late 18th c.
Pair of Grain-painted Chairs a Banister-back Chair and a Fan-back Windsor Chair. 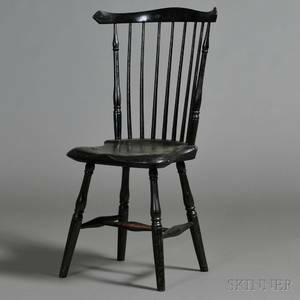 Windsor Bow-back Side Chair and a Black-painted Windsor Fan-back Side Chair. 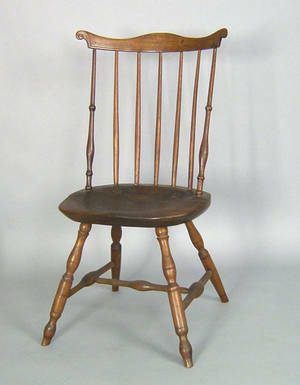 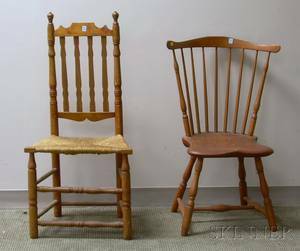 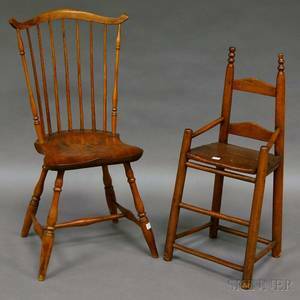 Windsor Fan-back Side Chair and a Bannister-back Side Chair.